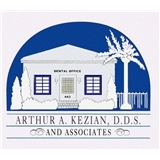 Arthur A. Kezian, DDS (Los Angeles) - Book Appointment Online! Dr. Kezian and his associates are a wonderful team! I recommend them fully!